Whether you’re applying for a job or just going about your daily business at work, ensuring your spelling and grammar is up to scratch is extremely important. Even if your role doesn’t involve huge amounts of writing such as creating content or reports, you’ll undoubtedly need to use written communication to contact colleagues, make notes on internal systems and send emails to clients or customers. It’s very easy to make errors, even if you’ve been trained to write professionally and this is especially true if you don’t even realise you’re making them. If you’re consistently littering your communications with mistakes it could make you look unprofessional and even harm your career in the long run! So take a look at our list of grammar and spelling mistakes and see if you can improve your written communication by eliminating some common errors. As with many spelling errors, the main reason for this mistake is because both words sound the same when spoken. However, they have very different meanings. Your is used to denote possession of something as in “your shoes” or “your job”, whereas You’re is a contraction of ‘You are’. This is another example of a homophone, whereby the words are pronounced the same but have different meanings. There is used to make a statement such as “there is no time left”. It’s also used to denote a place, such as “over there”. They’re is a contraction of ‘They are’. These words have both a similar spelling and a similar meaning, so here’s how to make sure you’re using the correct one. “the medicine had a positive affect” and “we waited for the medicine to take effect”. Another common mistake we see is the confusion between To and Too. Too is used as an alternative to ‘also’ or ‘as well’ whereas To is much more common and is used to describe an action. The following sentence shows how both versions should be used: “I’m going to the party too”. These words have a similar spelling but completely different meanings. Lose means to be defeated or misplace something, as in “don’t lose your way”. Loose denotes that something is not fixed firmly or not tight fitting such as “these shoes are very loose”. If the noun is plural, the apostrophe goes after the s: “The cats’ whiskers”. This rule also applies if the noun is singular and ends in s: “The bus’ blue seats”. This mistake generally occurs because the shortened form of these words, e.g. could’ve, sounds like ‘could of’. As a result, people sometimes write this instead of the correct form, which is ‘could have’. Another example of words sounding the same but having different meanings. If you’re trying to offer praise, you’re giving a compliment. Complement means two things that go well together, such as “those curtains really complement that sofa”. These are just a few of the common errors that people make in their written communications. 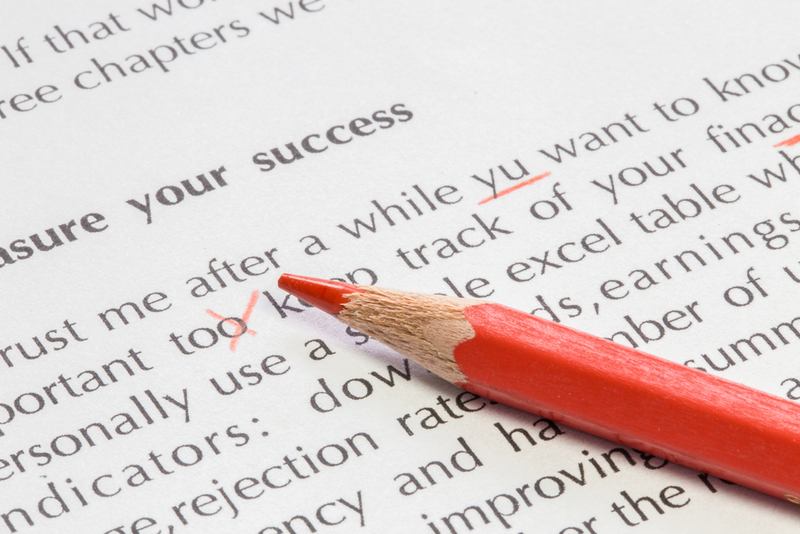 Using a spell checker will help eliminate mistakes, but be aware that these are not 100% reliable. Some systems will even flag up grammatical issues incorrectly, so it’s always a good idea to put your query into a search engine to get a second opinion. It’s also worth noting that spell checkers will not highlight if a word has been used incorrectly. For example, we received a CV recently that claimed the candidate was adept at ‘dairy management’ rather than ‘diary management’. The spell checker didn’t flag this up as ‘dairy’ was spelt correctly, so ensure you proofread documents carefully before you send them. Finally, you should always use formal language when you’re communicating at work. We tend to use a more informal tone when texting or using social media, but this is inappropriate for a professional setting. That means using ‘You are’ or ‘You’re’ and not ‘U R’. All these mistakes are easy to make but also easy to rectify. By reading through your work before you send or publish it and keeping these errors in mind, you’ll minimise the risk of making them again in future. « Milton Keynes is 50…so here are 50 reasons to love MK!